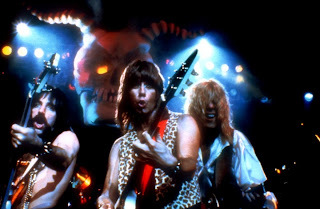 "Edible Cinema and Bombay Sapphire are set to rock and roll this May with two screenings of the cult ‘mockumentary’ This is Spinal Tap at the Electric Cinema in Notting Hill. Edible Cinema is a collaboration between Soho House, renowned experience organiser Polly Betton, Jake Rigby Wilson in conjunction with experimental food designers Blanch and Shock and Bombay Sapphire mixologist Sam Carter. The concept truly enhances the film using taste, aroma and texture to heighten the viewers’ sensory experience of the film’s most famous scenes. Each guest receives a selection of numbered boxes at the start of the film, which they will be instructed to open and enjoy at certain points throughout. 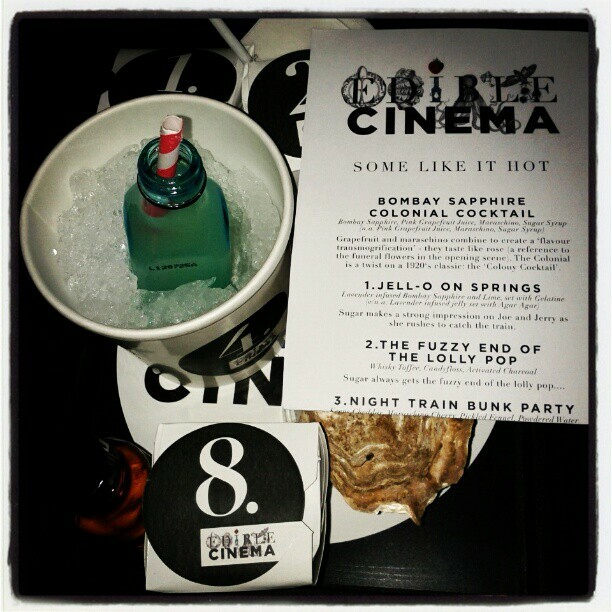 The contents of the boxes will correspond to the action on screen, offering a multi-sensory cinema experience like no other. Guests will be treated to an edible adventure through the fictional British band's back catalogue as the film follows their 1982 US tour. Not only will they be able to ‘smell the glove’, the name of the band’s album – they can even taste it, guaranteeing the enjoyment will be turned all the way ‘up to eleven’. On arrival, a kitsch, 80’s-inspired Bombay Sapphire Spinal Tap cocktail will be served, combining Bombay Sapphire, pink grapefruit, elderflower, ginger ale and finished with cherry liqueur to create a zesty and spicy cocktail. The Electric Cinema was completely refurbished in December 2012 and now boasts a stylish, comfortable interior with oxblood leather armchairs and even flat ‘beds’ offering the ultimate cinema experience."